Daily, Shabbat and Festival worship services at BEKI are traditional, egalitarian and participatory. The liturgy is the standard Conservative Ashkenazi Hebrew siddur as represented by Siddur Sim Shalom, Siddur Sim Shalom – Shabbat & Festivals edition; Or Hadash: A Commentary on Siddur Sim Shalom for Weekdays and Or Hadash: A Commentary on Siddur Sim Shalom for Shabbat and Festivals; the full Torah reading is read according to the common traditional diaspora annual cycle. Usually the amida of the Shaharit Morning and Minha Afternoon service is repeated fully; the musaf amida on Shabbat is repeated at the reader’s discretion if the hour is not late. Doors open 15 minutes before scheduled service times. The building is accessible to those using wheelchairs and with limited mobility by entering through the front main doors on Harrison Street or through the East Entrance from the parking area. Most services take place at floor level enabling all to approach the reader’s table and Torah reading table. 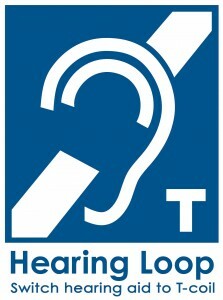 The main Sanctuary, where most Shabbat and Festival morning services are held, is equipped with a Hearing Loop (T-coil) that transmits sound to hearing aids and cochlear implants equipped with telecoils. Children’s participation is encouraged in all services and Youth Services are conducted concurrent to main services on Shabbat and some Festivals. Minors are permitted to lead Pesuqei deZimra (morning introductory Psalms) and Qabbalat Shabbat (Friday night Psalms and Hymns), and to read Torah and Haftara. Jewish men and women who have reached the age of mitzvot (13 or 12 years) are counted toward the minyan (quorum), regardless of whether they have formally celebrated a bar– or bat-mitzva ceremony. Being called to the Torah for an aliya at BEKI? Practice reading the blessings from the chart you will see on the reader’s table or listen to an audio file.